The East of Doing Business (EODB) index was encouraged to be ranked in the top 40th of the world.
" It will be focused on two indicators, namely Starting a Business and Dealing with Construction Permit"
Based on the World Bank's report results, Indonesia is still ranked 73rd out of 190th countries. 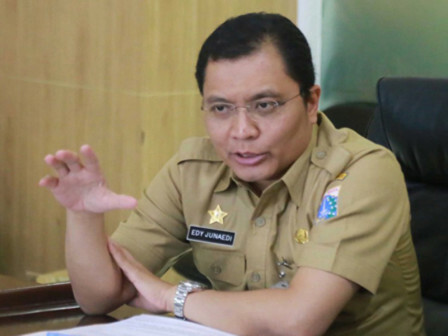 Jakarta Investment and One-Stop Integrated Service (DPM and PTSP) Head, Edy Junaedi stated that Jakarta is one of the provinces in Indonesia, which contributes 78 percent to the EODB ranking. Hence, this province was made the main sample, as it was deemed as the region with the highest ease of doing business in Indonesia. "It will be focused on two indicators, namely Starting a Business and Dealing with Construction Permit," he expressed, Monday (1/28). It could be achieved if the business people already feel the ease of managing permits such as, via online licensing application, JakEVO. "Jakarta has presented this application to provide convenience for business people," he told. Moreover, Indonesia's economy is growing rapidly and many new businesses are emerging. This progress must be supported by better licensing services.